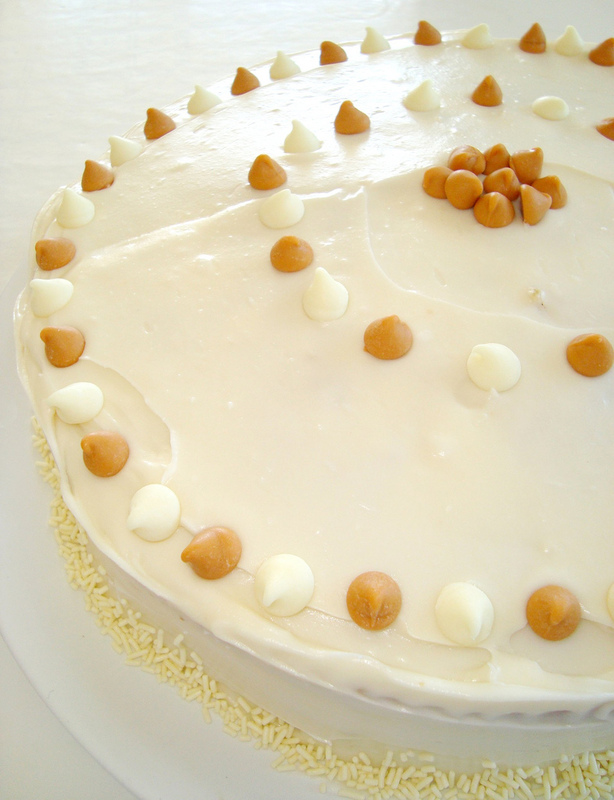 Hummingbird Cake: such a lovely name, isn't it? So lovely, in fact, it got my vote without even looking at the list of ingredients. But once I stopped musing about its sweet name and actually focused on the main ingredients of this cake, I fell in love! Bananas. Pineapple. Cinnamon. Pecans. Vanilla. Yum. You'll find this cake under a list of Southern foods at Wikipedia. No really! Making this cake was easier than pie, mainly because it uses self-rising flour and doesn't specify using an electric mixer. Just make sure to get out your biggest bowl! 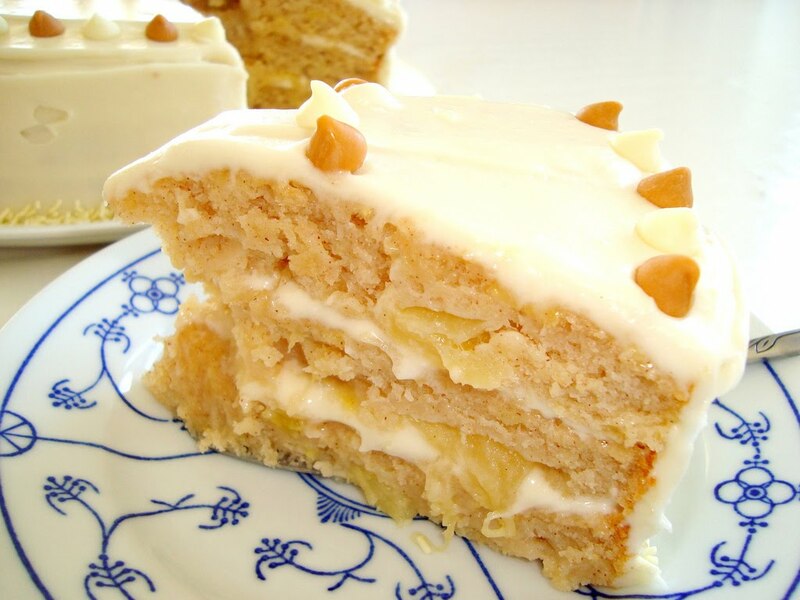 The taste reminded me a lot of Elisa Strauss' Banana Cake, though I have to say, Elisa's Banana Cake tasted a tad better. The pineapples made it a bit too moist for my taste. But if you're a moist-lover, this is the perfect afternoon cake for you! Rating: 4- out of 5. - Preheat oven to 325 degrees. Spray and flour three 8-by-2-inch round cake pans, tapping out excess flour; set aside. - Prepare the cake; in a large bowl, stir to combine self-rising flour, sugar, oil, pecans, bananas, pineapple, vanilla, cinnamon, and eggs. - Divide batter evenly between prepared pans, smoothing with an offset spatula. Bake, rotating pans halfway through, until the tops spring back when gently pressed with your fingertips, 26 to 28 minutes. - Transfer pans to a wire rack to cool 10 minutes. Invert cakes onto wire rack. Re-invert cakes and let them cool completely, top sides up. 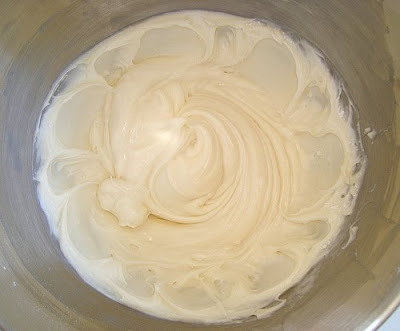 - Prepare the frosting; in the bowl of an electric mixer fitted with the paddle attachment, combine sugar, cream cheese, butter, vanilla, and 1 tablespoon milk on medium speed until frosting is smooth. If needed, add more milk, 1 teaspoon at a time, to achieve the proper spreading consistency. - Using a serrated knife, trim tops of cakes to make level. Place four strips of parchment paper around perimeter of a serving plate or lazy Susan. Place the first layer on the cake plate. 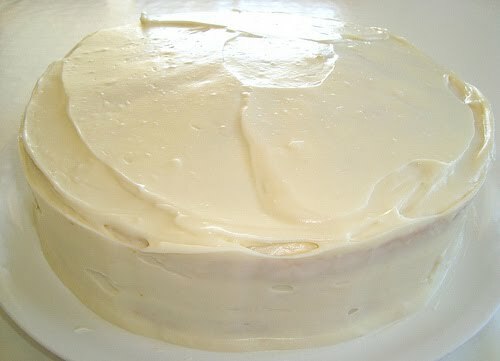 Spread the top of the first layer with 1/4 of the frosting. 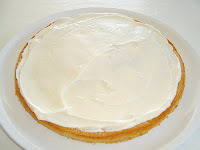 Place the second layer on top and repeat process with another 1/4 of the frosting. Place the remaining layer on top of the second layer bottom side up. Spread entire cake with remaining frosting. Sprinkle the top with pecans. Remove parchment paper strips; refrigerate until ready to serve. The BEST cream cheese frosting I have ever made! What can one expect with 1 pound (!) of confectioners' sugar? Icing ... Step 1, 2, 3, 4. White chocolate chips & butterscotch chips. 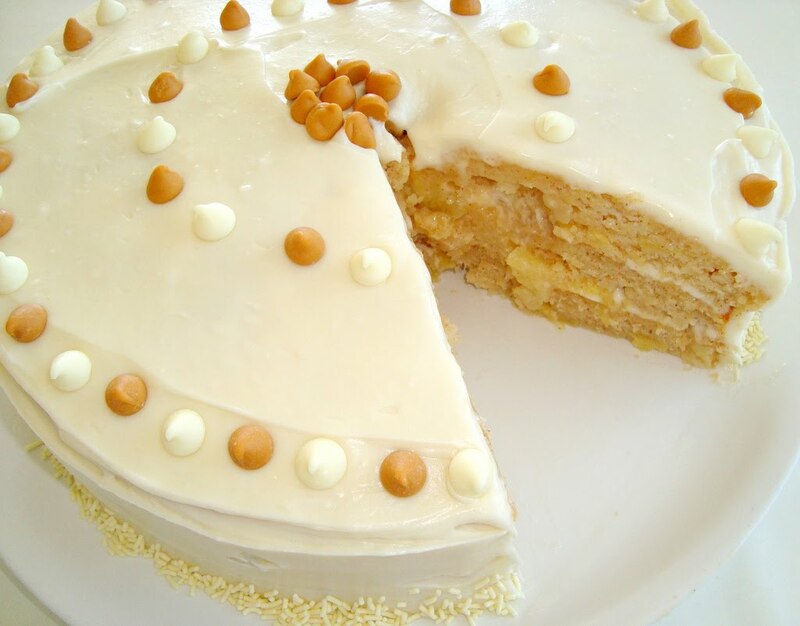 The sweet smell of butterscotch goes along beautifully with the flavor of this cake. Moister than moist, this cake is. 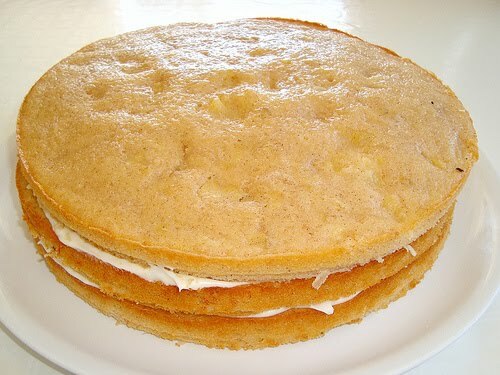 I even baked the cake a little bit longer to make the texture a little dryer. 3 layers of goodiness! Delish! The second hummingbird cake I have come across today and I'm loving all the things that go in them. Looks delicious! It's a sign. This is the third Hummingbird cake I've seen this month. I'm going to make one.. and I'm going to make this one. It looks mouth-watering. This is one of my favorite cakes and I make it fairly often. Yours looks delicious and I love how you decorated it! Have seen this 1000 times, as I told you yesterday, they are always moist. It's the pineapple. I dry mine in paper towels a little, and it helps a tad only. I love how you decorated it--so cute and spring-ish! Oh yum! It sounds sooo delicious!! The cake looks so moist and gorgeous! What a beautiful cake! I think I'm going to be on the lookout for an occasion for which I can whip up one of these! The cream cheese frosting - do you think it's enough for 30 chocolate cupcakes? My daughter's birthday is this weekend and I'm on the hunt for the perfect frosting to pair with them. I've heard so many good things about this cake and yours looks truly delicious. I love the simple decorations on top. Classic. Oh, my! That looks wonderful. What I wouldn't give for a huge slice of that baby! 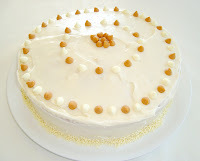 Your blog is so tasty :) Any ideas for a boy themed baby shower cake? Wow your hummingbird cake is so pretty i bet it was delicious too!! This looks really yummy. I wish I had your cake-making skills. I made this amazing caramel cake for the bf's bday but the frosting wouldn't stick to the sides and it looked a train wreck, haha. Being from Nashville, TN I thought you might like another Southern recipe. I emailed it to you today! Hope that you enjoy it. 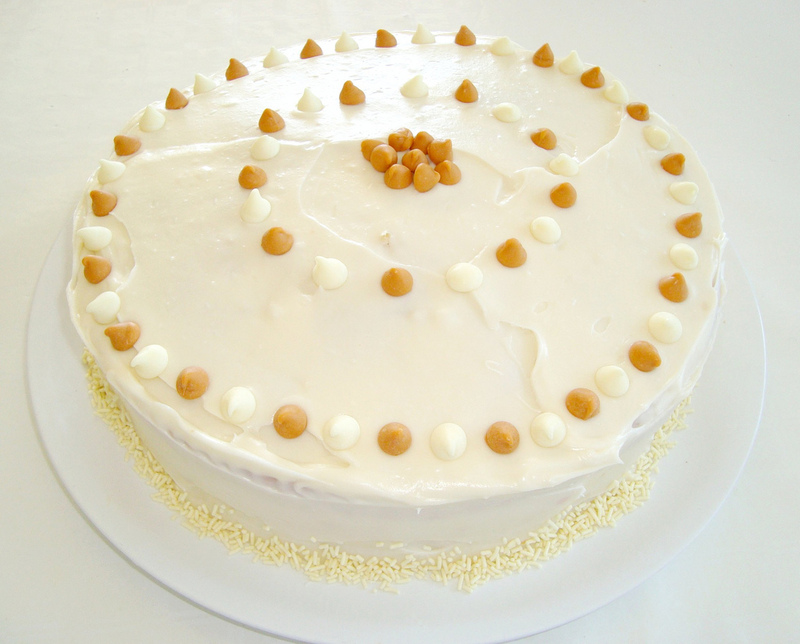 Hummingbird Cake is one of my favorite Southern (USA)recipes. Ms. Paula has taken our southern cooking to a new level. Glad that you found her all the way over in the Netherlands.